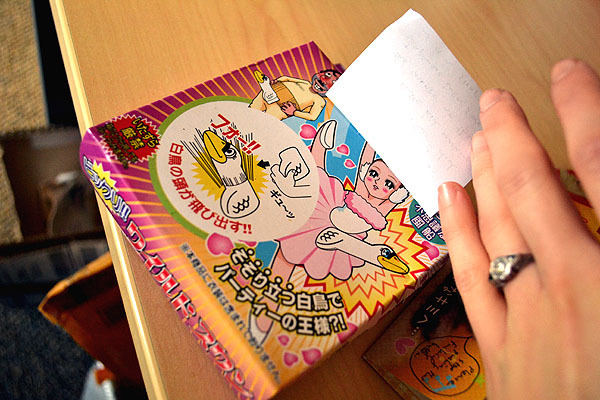 dressed up like a lady: Bizarre toys in the mail? Must be from Margaret! 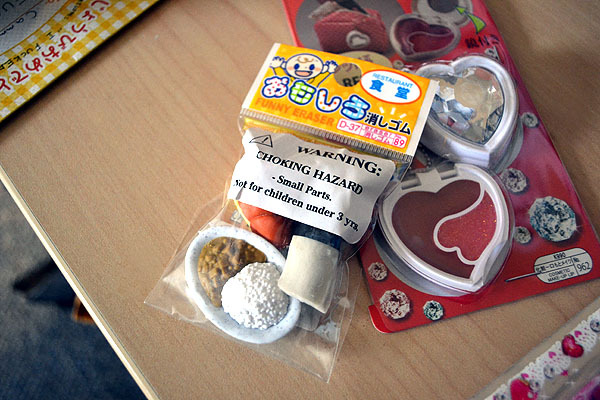 Bizarre toys in the mail? Must be from Margaret! 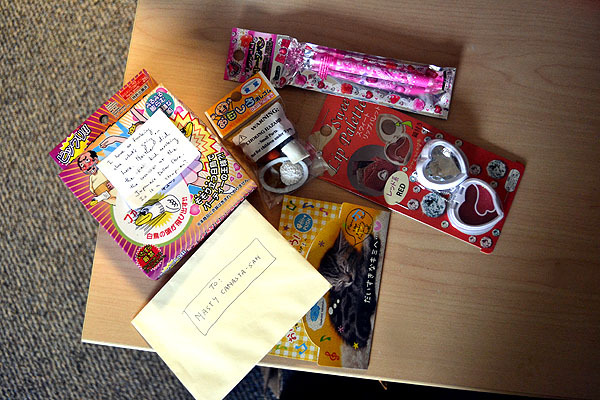 This particular package of goodies sent in the mail from my bestie Margaret contained a strange selection of items purchased at her neighborhood Japanese dollar store. The highlight of this was, of course, what appears to be a goose-shaped codpiece. 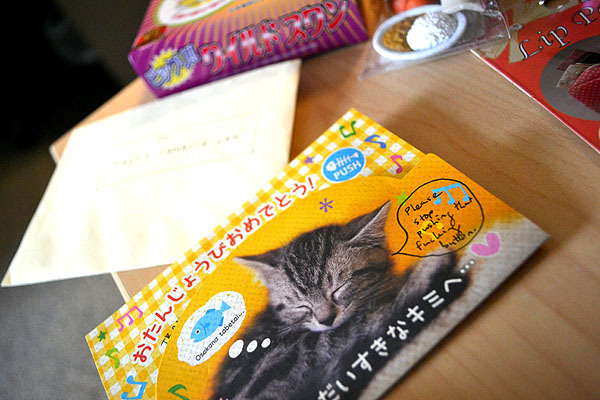 She also included a card that plays Lullaby Baby when you push a little button on the front. Said button is extremely sensitive, leading to an incessant, beeping serenade.